There is a growing body of evidence that (aspiring) migrant entrepreneurs require a different set of core competences to successfully set up and run their businesses in a changing society in dynamic economic and labour market circumstances. To address this challenge MFC, along with 7 European partners, kicks off a new project aimed at linking and training organisations supporting migrant entrepreneurship. The MAGNET project (Migrant Acceleration for Growth Network for Entrepreneurship Training) focuses on networking and bringing together various stakeholders capable of providing holistic support for migrant entrepreneurs in Europe: this includes humanitarian aid organisations, migrants’ training providers, financial institutions and policymakers. Developing an Open Toolkit for Migrant Entrepreneurship Support on the basis of good-practice analysis. 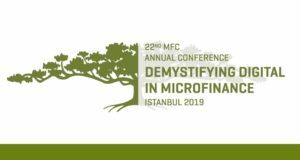 The role of Microfinance Centre in the project is to introduce the perspective for access to finance for migrants, such as facilitating the interest and involvement of financial institutions that wish to learn more or offer services to this niche-yet-growing segment of the market. SPTF Financial inclusion of refugees webinar series: 3 webinars featuring case studies on MFIs working with refugees are available within the six-part webinar series funded by UNHCR. Sign up for the MAGNET newsletter to stay tuned with the project news.